Dubai: Hong Kong found Pakistan’s formidable bowling attack too hot to handle and crashed out for a paltry 116 runs. Displaying their batting might too, Pakistan recorded an easy eight wicket win in 23.4 overs in the second match of the Unimoni Asia Cup at Dubai International stadium. Pakistan exposed Hong Kong’s inexperience of having played world-class bowlers. Hong Kong's innings lasted only 37.1 overs. 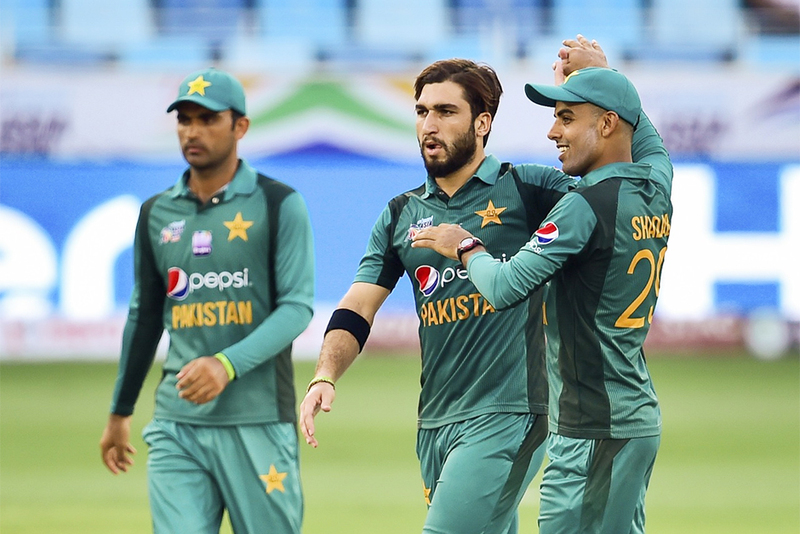 Leg spinner Shadab Khan’s double wicket maiden over followed by left-arm pacer Usman Khan Shinwari three wickets in one over destroyed Hong Kong’s innings. Chasing the easy target, Pakistan lost their star batsman Fakhar Zaman for 24 when Eshan Khan had him caught behind. Zaman put on 41 runs in 8.1 overs. Babar Azam joined opener Imam Ul Haq and went past his 2000 run mark in One Day Internationals in his 46th innings making him the second fastest batsman in the world to this mark. The only bright patch in Hong Kong’s innings was the 53 runs partnership between Aizaz Khan (27) and Kinchit Shah (26). Aizaz, who was the hero of Hong Kong’s victory over UAE in the Asia Cup qualifier final with a five wicket spell, displayed his skills as a batsmen too. Twenty-two-year-old Kinchit who was born in Mumbai held on patiently. Usman Khan returned with figures of 3 for 19 while Shadab took two wickets for 31 runs backed by Hasan Ali with two wickets for 19 runs. Hong Kong had won the toss and decided to bat first. The action began with opener Nizakat Khan who was born in Attock in Pakistan taking 11 runs off the first over from Pakistan pacer Mohammad Amir. At the score on 17, the first sign of the team’s lack of experience showed. Khan got run out evading the throw from Shadab Khan from point with his bat hanging in the air, rather than getting inside the crease at unlucky 13. Hong Kong skipper Anshuman Rath on 19, tried to steer a delivery from Faheem Ashraf away from his body and edged to wicketkeeper Sarfraz Ahmad. Christopher Carter fell to the pressure mounted on him by Pakistan bowlers. Walking down the pitch he literally hit the ball straight to Imam Ul Haq at cover for 2. Leg spinner Shadab Khan produced his double wicket maiden in the 17th over. He first had Hong Kong’s experienced batsman Babar Hayat, who charged out to hit him over the top but got stumped by Sarfraz for 7. One ball later he trapped Ehsan Khan leg before for a duck with a googly. Half the side back in the pavilion for 44 in 16.3 over, it looked like a quick finish when Kinchit Shah and Aizaz Khan decided to fight back. In the 24th over, Aizaz even hit Shoaib Malek for a six. The pair put on 53 runs in 13.5 overs when Aizaz on 27 when Usman Khan produced a beautiful delivery that went through his defence and hit the off stump. Two balls later, in the same over, Usman Khan trapped Scott McKechnie leg before for a duck and with the next ball clean bowled Tanwir Afzal too. At the score on 99, Kinchit, who batted well to score 26 runs slicked Hasan Ali into the waiting hands of Shadab. The last pair of Nadeem Ahmad and Ehsan Nawaz added 17 runs in four overs before Nawaz got run out 9 in a mix up.